Growing mushrooms requires no special equipment or growing techniques. Mushrooms are widely used in Asian and other cuisines throughout the world. They also have important nutritional and medicinal benefits, and are relatively easy to grow. 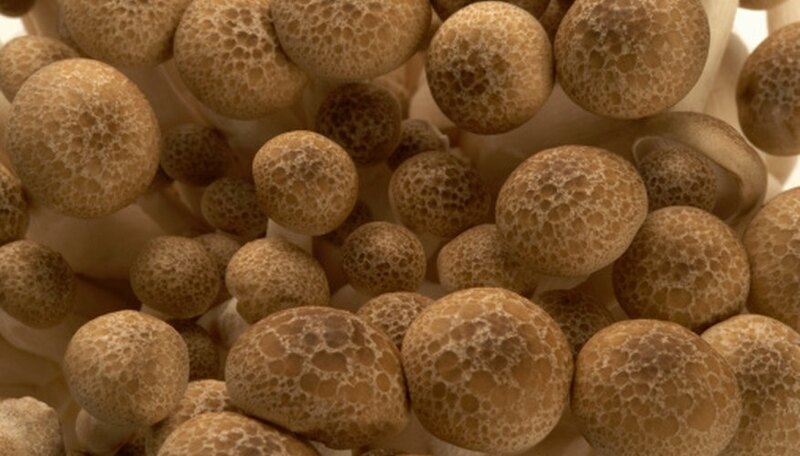 These factors make mushroom farming an attractive option for some entrepreneurs. Mushroom farming takes place indoors, under controlled conditions, which allows you to grow mushrooms year-round, in any kind of weather. A mushroom farm requires a dark, temperature-controlled building with enough room for the mushroom growing trays and a separate smaller temperature-controlled room with humidity control for pasteurizing the compost. Fill the trays with compost. Place them in the pasteurizing room. Turn the heat up to 140 degrees Fahrenheit for three hours. Turn the temperature down to 120 degrees Fahrenheit for seven days. Keep the room’s humidity above 90 percent. Spread the mushroom spawn evenly over the top of the compost in each of the trays. Use approximately 6 quarts of spawn per ton of compost. Set the temperature of the growing room at 70 degrees Fahrenheit. Keep the growing room dark. Cover the spawn with about 1 inch of the specially treated peat moss. This layer keeps the spawn moist. Use the peat moss only when a whitish growth covers the compost, which means the spawn has put down roots. During the growing period, monitor the peat moss and do not let it dry out. Use the mister to keep it moist. Lower the temperature in the growing room to between 55 and 60 degrees Fahrenheit.